FIFA World cup is one of the biggest and popular events of 2014 hosted by Brazil. 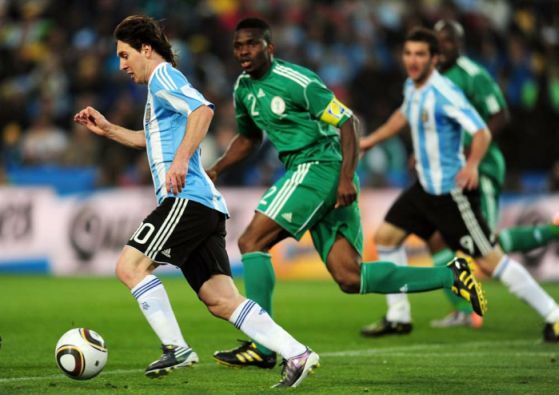 It commenced from June 12, 2014 and the football fans will be celebrating and watching the event from all over the world. There are total of 64 matches will be played in 12 cities across Brazil up to 13 July 2014. Most of the matches will start in midnight here in India due to time differences. Also you have some other works and there is a chance you wil be missing to watch live matches on the Television. However you can watch live matches, get updates from your mobiles and tablets too without stay awake at midnight. 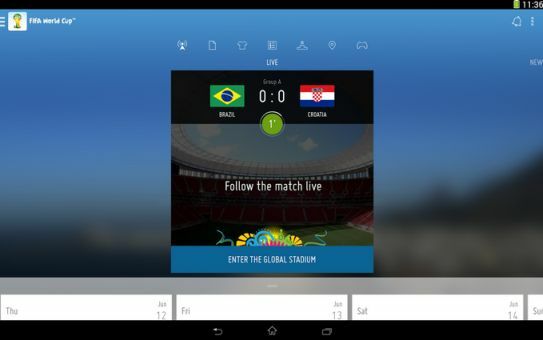 Here are some best apps that provide all the FIFA World Cup 2014 Brazil match updates on your smartphones and tablets. This is the official app by Brazil World Cup 2014 and you can get complete information about all teams, match schedules, team standings, real time scores, news, images and videos. The app provides match alerts from your favorite teams or you can follow all the games live in the global stadium. Sony got the rights of broadcasting football matches officially in India and it is providing an app to watch the matches on your smartphone or tablet. 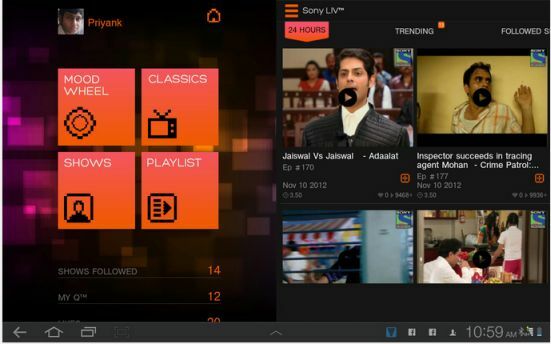 Sony Liv app is one of the best ways to watch FIFA world cup live matches for RS.120. Also you can get all matches of your favorite any one team for Rs.60 and web users can use their Sony Liv site. BBC has also rights to telecast live matches which would be broadcasted live on their mobile app too. For other matches, you will only get match highlights when the match finished. 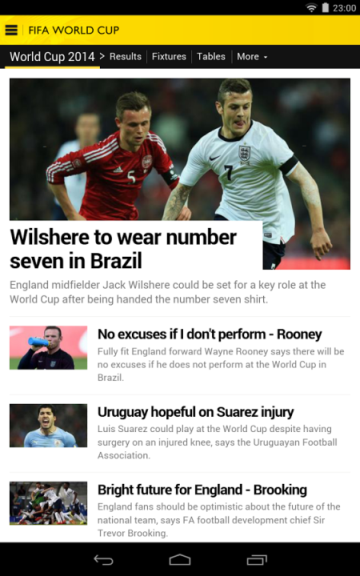 The app provides football news, analysis, live scores, match stats and text commentaries. You can set match alerts for 2014 Fifa world cup teams and you can customize the app by adding quick links to your favorite teams. 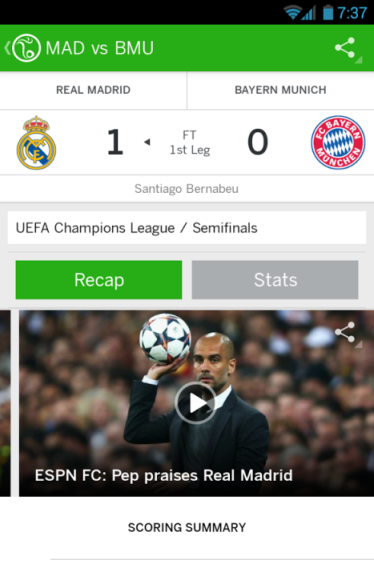 ESPN FC app is redesigned completely and looks simple beautiful one for FIFA lovers. It delivers comprehensive coverage of all the major club leagues with videos, highlights, news, opinion and personalized reports of your favorite teams. The app will have live match scores, stats, commentary and video highlights. If you have Airtel Digital TV subscription, you can download the Airtel Pocket TV mobile app and you will be able to watch Sony SIX channel on your smartphone and tablets. Also if you are a Tata Sky subscriber, you can download the Android app here and subscribe for RS.60 to watch live matches on your devices. Install all / any apps on your smartphones to get all the live scores, updates of FIFA world cup 2014. If you know any apps I am missed out, please share your comments. Enjoy!